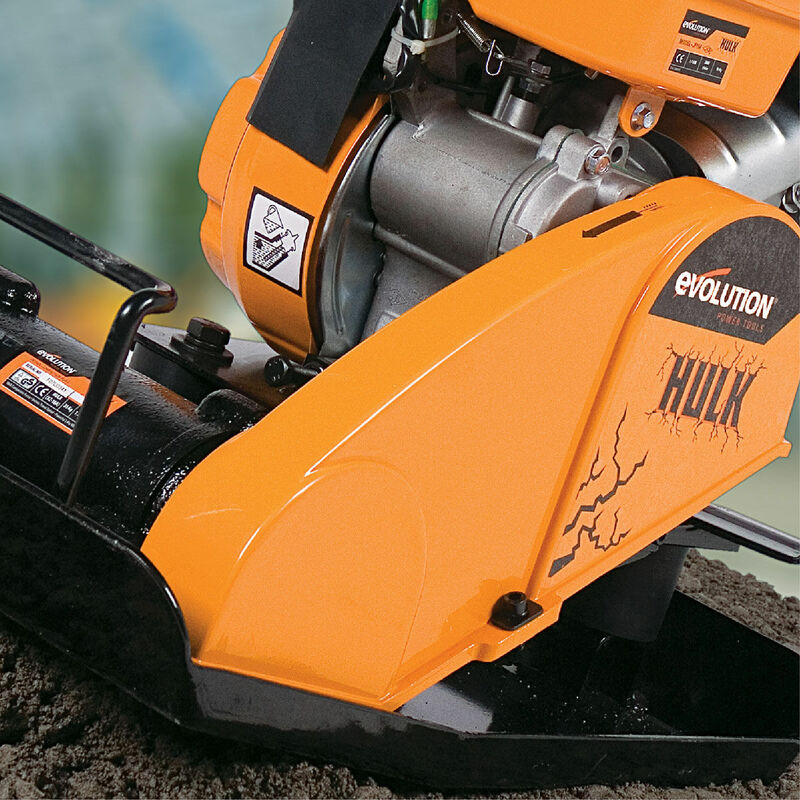 The Evolution hulk petrol compactor is ideal for the construction and landscaping industries and offers a very realistic alternative to hiring. 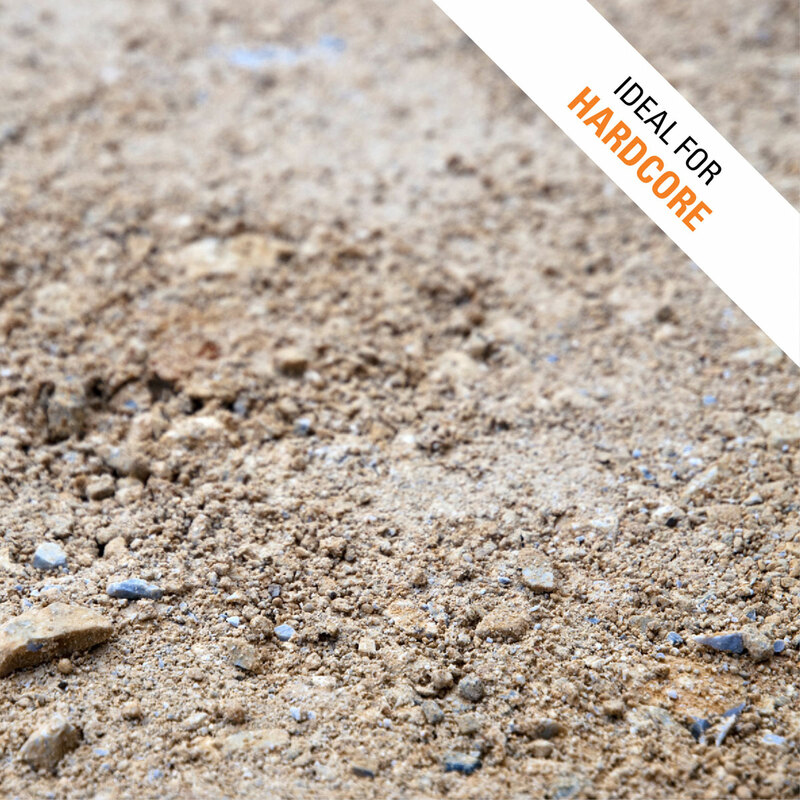 Ideal for surface preparation when evenly compacted ground is required and suitable for sub-base preparation, sand, gravel, crusher run, soil, small aggregates, patios, block paving, driveways, pathways and tarmac repairs. The hulk features an easy-fold hinged handle for improved storage and transportation. 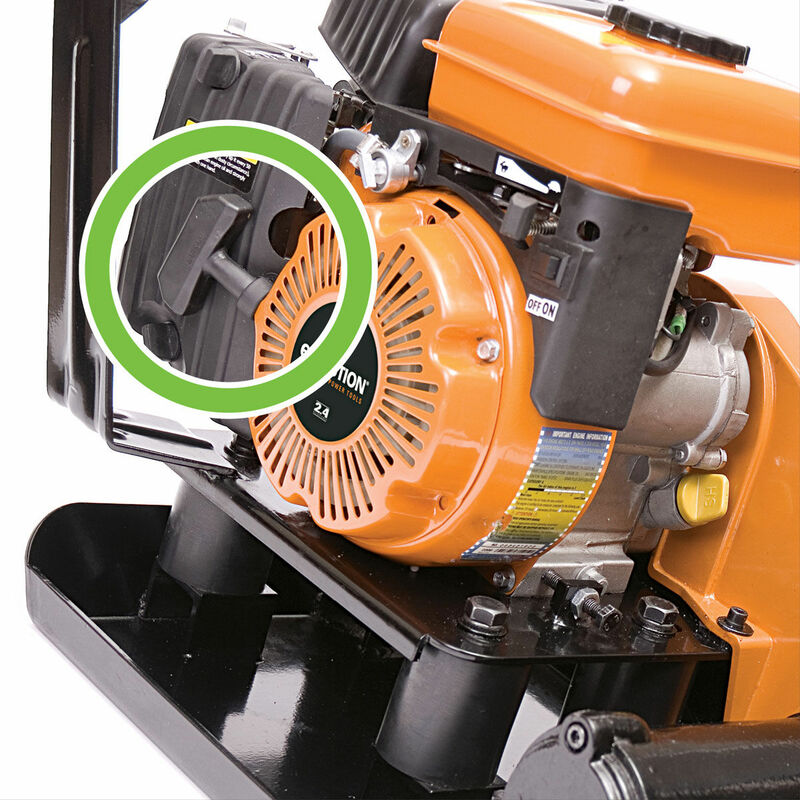 Furthermore, the compact design makes it easy to manoeuvre in restricted spaces. 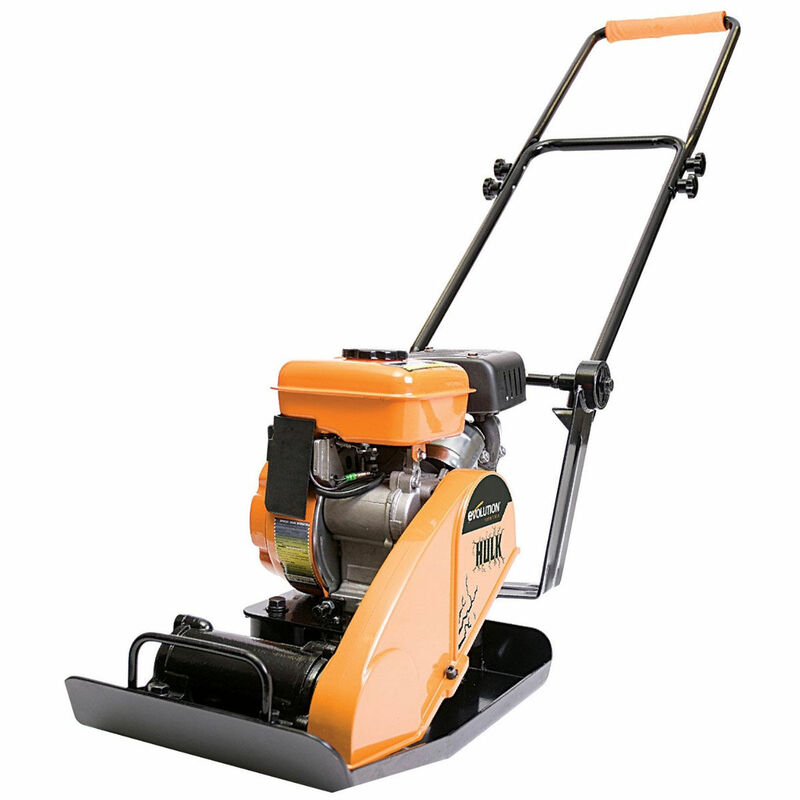 It's powered by a 2.4 HP petrol, 4-stroke ohv single cylinder engine, which runs on normal unleaded petrol (Octane 86 or higher).The thick, durable base plate delivers high centrifugal force for powerful performance with 8 m/minute travel speed and can be used on block paving with the optional paving pad. The hulk petrol is also low frequency (at just 90 Hz) and high amplitude for better soil compaction. Other features include an easy pull-start 80CC petrol engine, 1.5 L fuel tank and forced air cooling system. 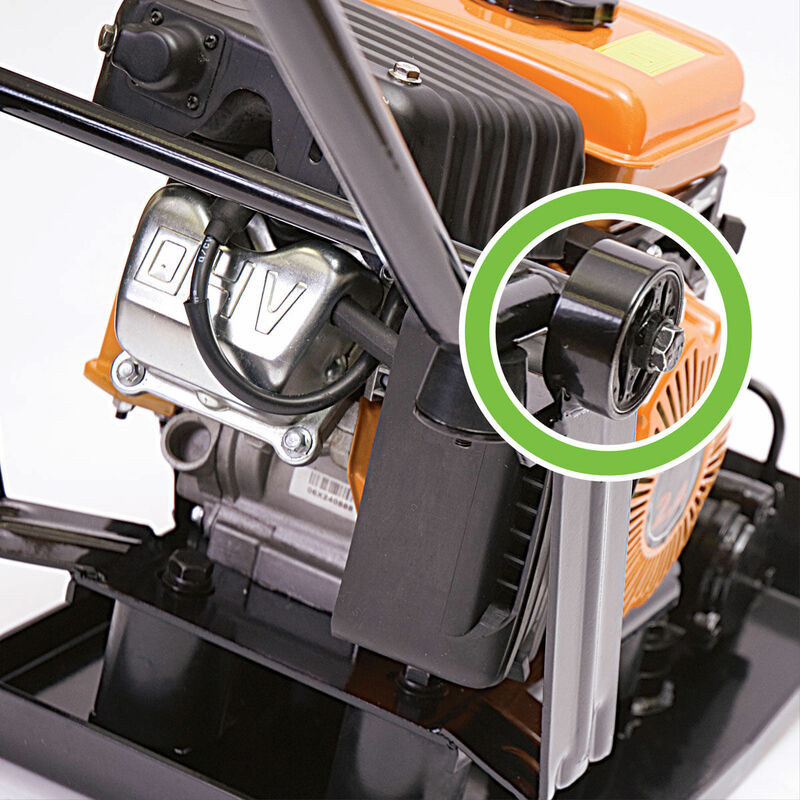 The heavy-duty vibration damper system, also increases user comfort and is low maintenance. An eccentric shaft rotates to give powerful compaction.